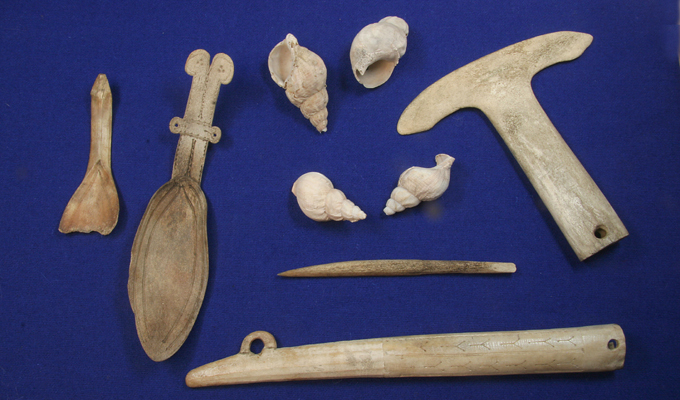 There is a great variety in the objects found at Ceavccageađge/Mortensnes. Some of them are connected to daily life while others are connected to religious activity. Among the found objects are stone tools, objects made of bone and antler, metal objects, shards of asbestos ceramics, wooden equipment, parts of birch bark shrouds and jewellery.